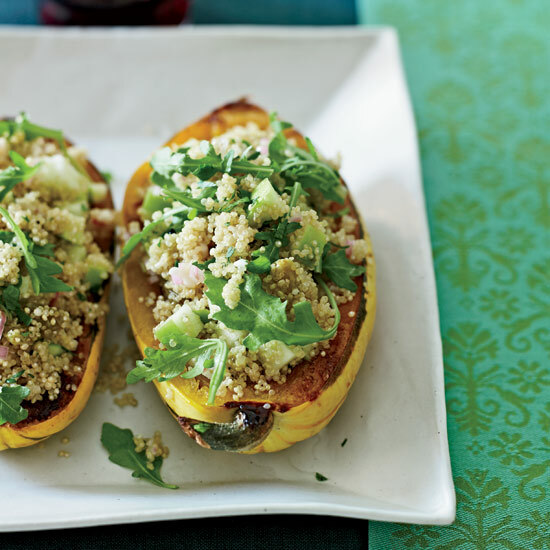 Squash, turnips and cauliflower are a few of our favorite seasonal vegetables. 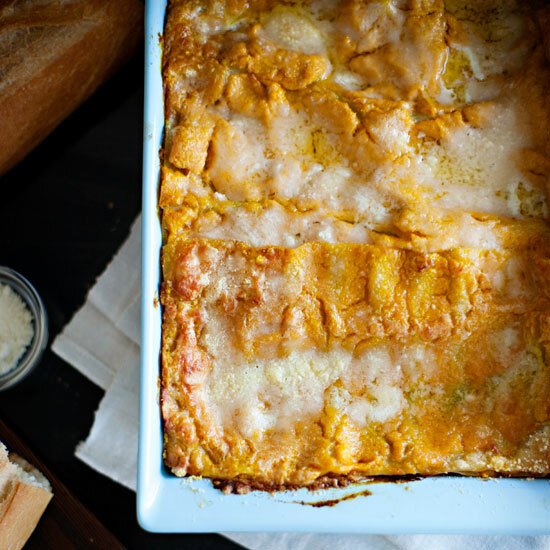 These wonderful, savory recipes include everything from creamy soup to cheesy casseroles. 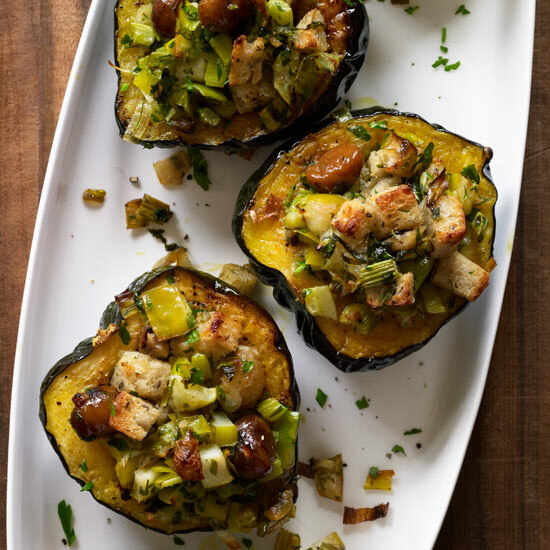 Here, 25 of our favorite dishes featuring fall vegetables. 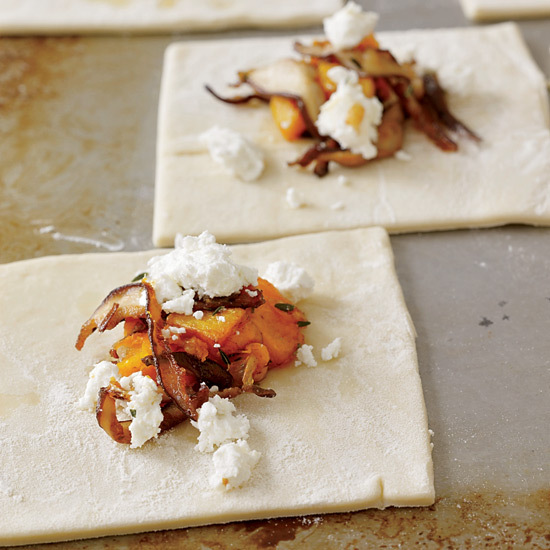 These buttery squash turnovers make a perfect fall lunch alongside a big green salad. 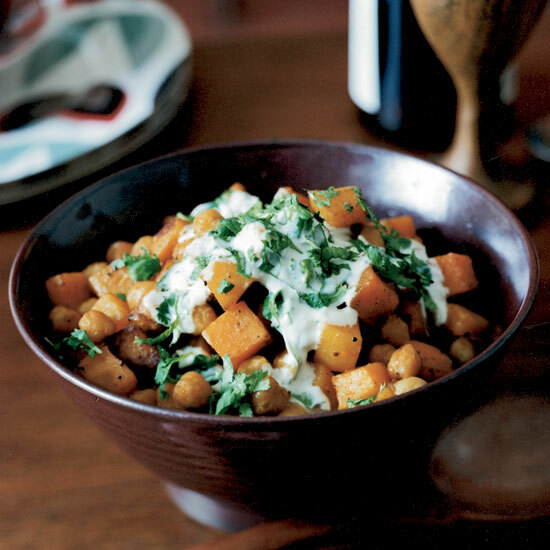 This Indian twist on a dish of roasted butternut squash is super easy: After tossing the squash and chickpeas with curry and cayenne, Melissa Rubel roasts them, then drizzles the dish with a cooling cilantro-spiked yogurt sauce. 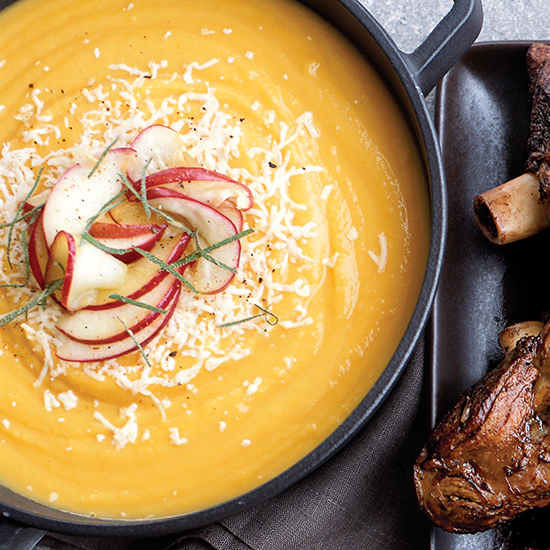 This warm fall soup's key ingredient is its smoked-cheddar garnish. 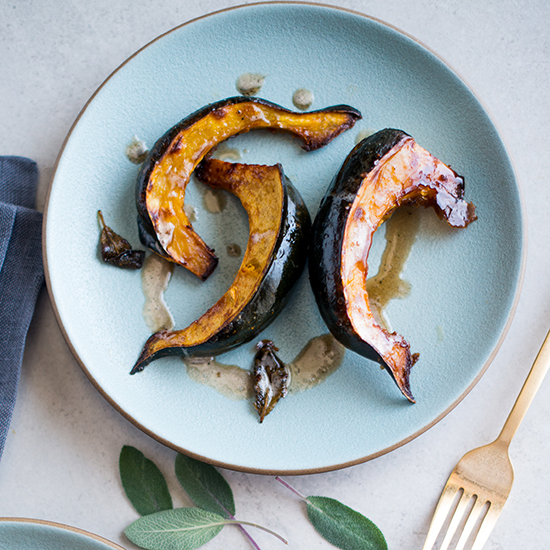 Cumin, coriander and cayenne bring warmth and spice to this tender roasted squash. Sheila Neal, Matt Neal's wife, has always loved turnips. 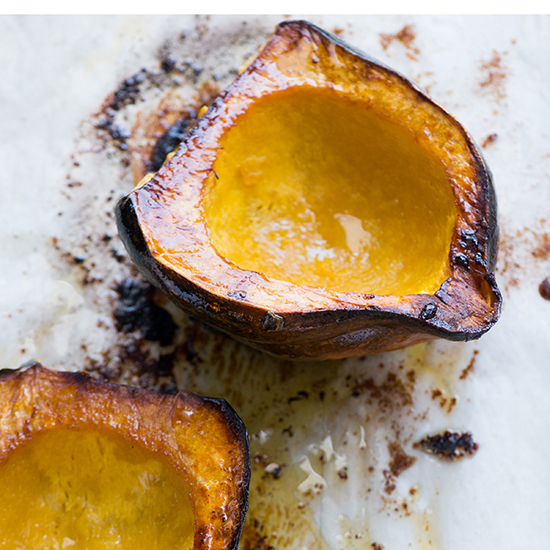 "They were my show-and-tell in kindergarten; I showed my class how to season them with salt and eat them," she says. 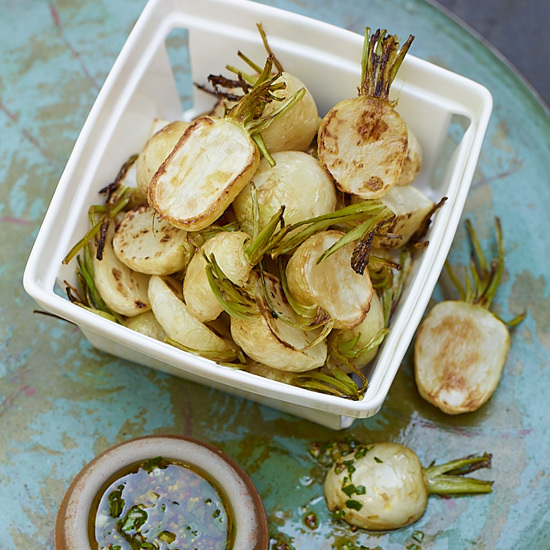 These elegant baby turnips—roasted to bring out their sweetness—can be served warm or cold. 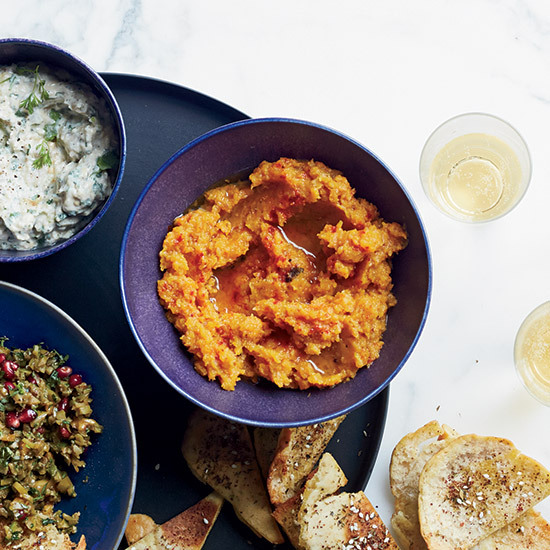 Butternut squash is fantastic in all sorts of dips. 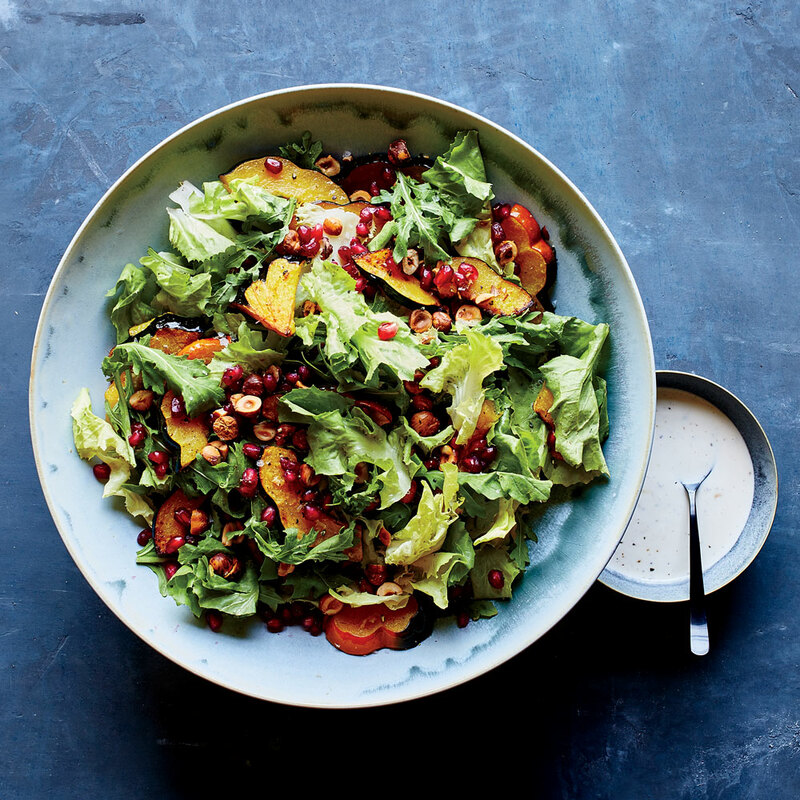 Here, it’s roasted with citrus and sweet spices to concentrate the flavor, then pureed and seasoned with minced fresh sage. 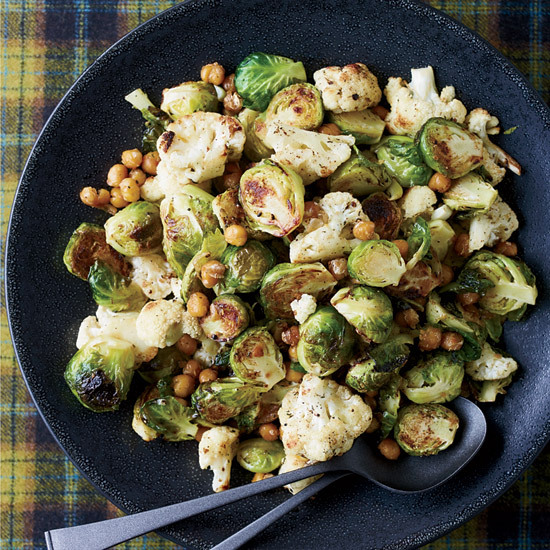 Jonathon Sawyer makes a fantastic jerk spice blend to sprinkle on a mix of chickpeas, cauliflower and brussels sprouts after they’ve been roasted. 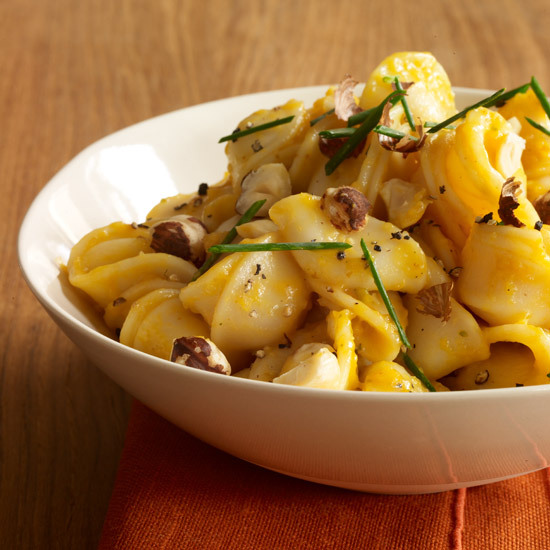 You’ll have some left over, but the blend is also great on shrimp and chicken. 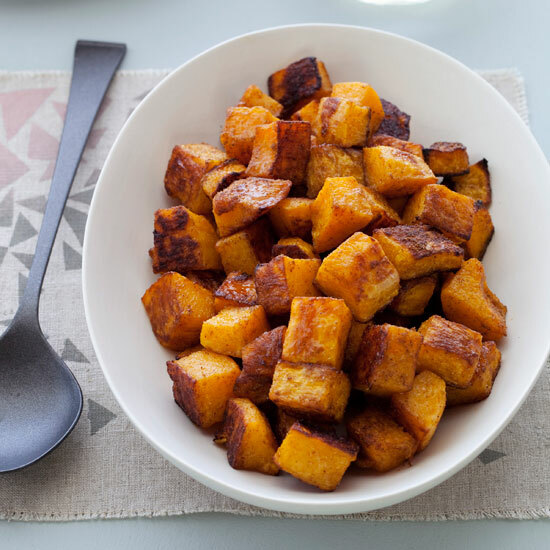 You can roast fresh pumpkin for this dish or use canned unseasoned pumpkin puree, which is quicker. Like most lasagnes, this one is easier to cut if left to set for 10 minutes or so before serving. 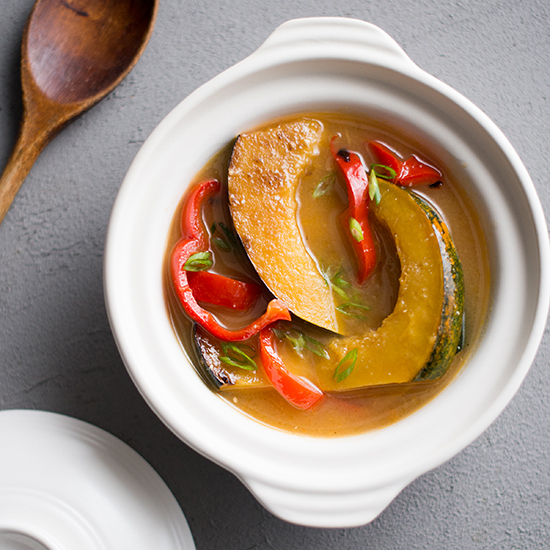 Fat Rice chef Abraham Conlon cooks a variety of meaty wild mushrooms with Madeira, garlic and lemon juice, then combines them with charred onions for a luscious and tangy dish. 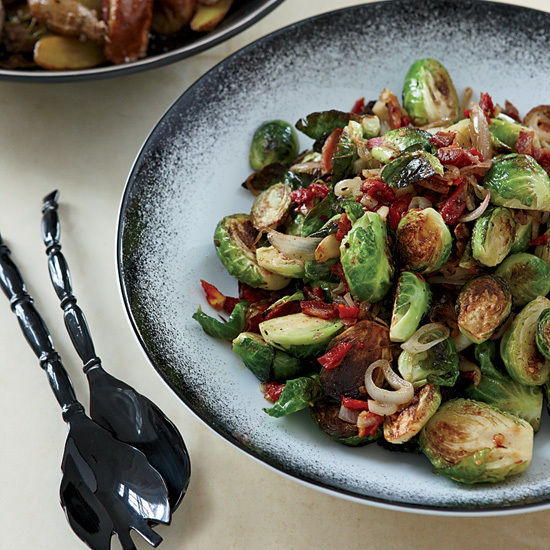 If you can't get spring onions, use a combination of small shallots and scallions. 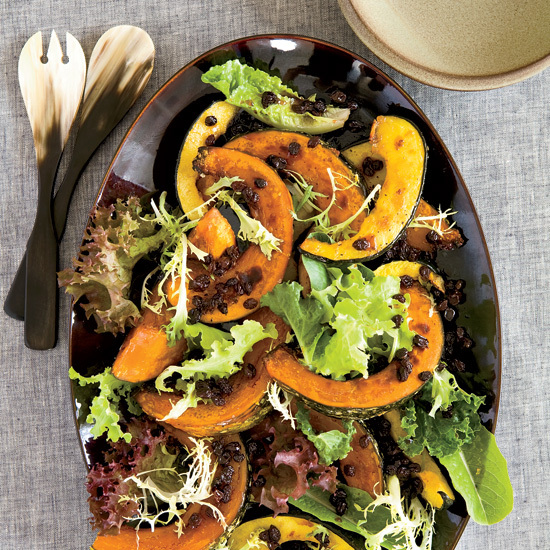 With a superflaky crust (the secret: frozen grated butter) and a lightly spiced sweet-savory winter squash filling, this rustic galette from Food & Wine's Justin Chapple makes a perfect vegetarian meal; serve it with a green salad. 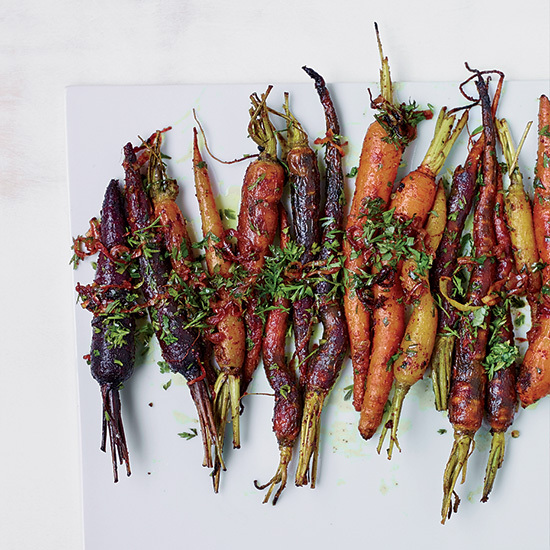 The chopped carrot greens turn into a tasty topping (along with cilantro, lemon zest and jalapeno) for sweet roasted carrots and shallots. 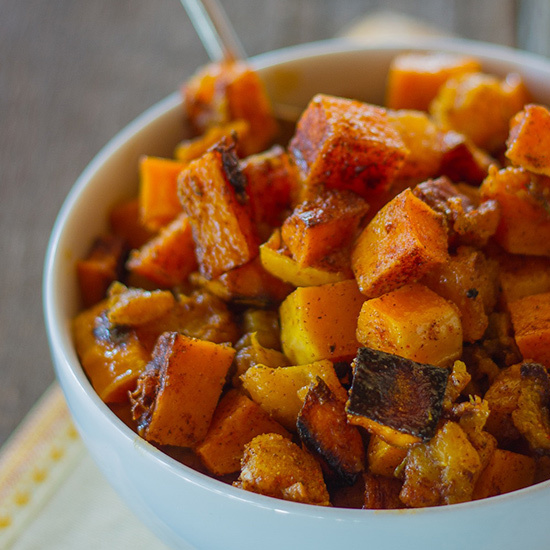 This oven-roasted butternut squash is full of flavor thanks to a Moroccan-inspired spice blend. 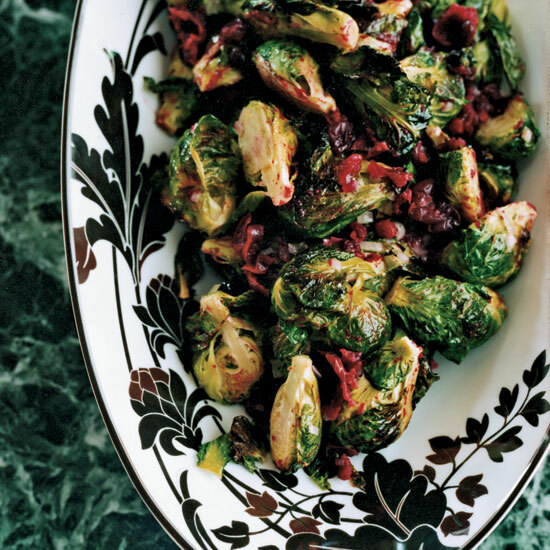 It works wonderfully as a side or served over rice as a main dish. 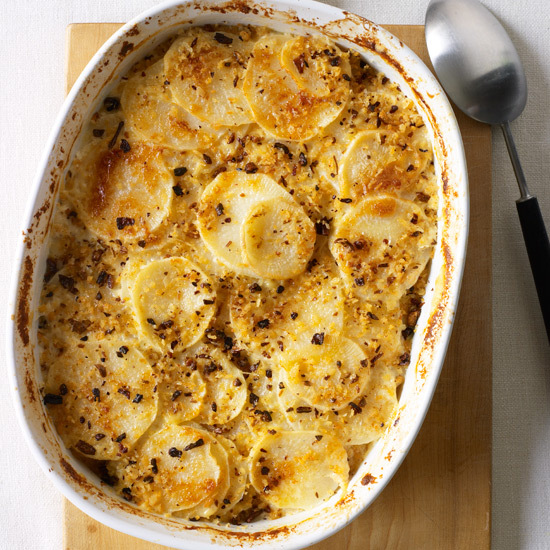 TV chef Carla Hall layers red beets, sweet potatoes, Yukon Golds and turnips for her fantastic vegetarian gratin, which she tops with a crispy Parmesan cheese crust.